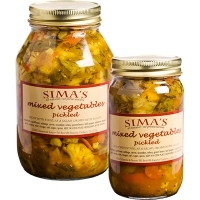 Jar Size Choose an option14 oz.16 oz.32 oz. 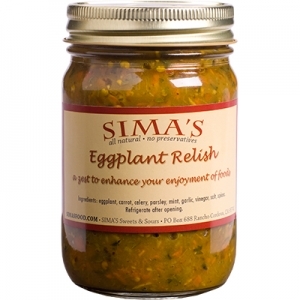 Sima’s zesty eggplant relish will enhance your enjoyment of your favorite foods. 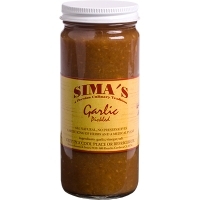 Great on breads, chips, hot dogs, burgers, pasta, pizza, baked potatoes, eggs, and rice dishes. ntwt 14 oz. 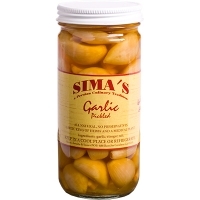 or 16 oz. or 32 oz.